Cavities in baby teeth progress faster and affect the nerve sooner than in permanent teeth. 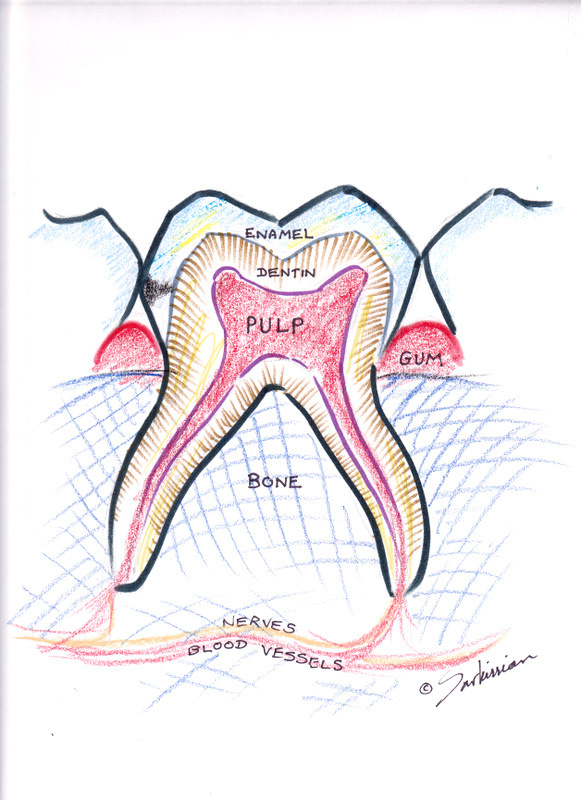 Long before a cavity becomes visible in a baby molar, it grows inside the dentin. Only when the overlying enamel collapses a “hole” in the tooth is revealed. 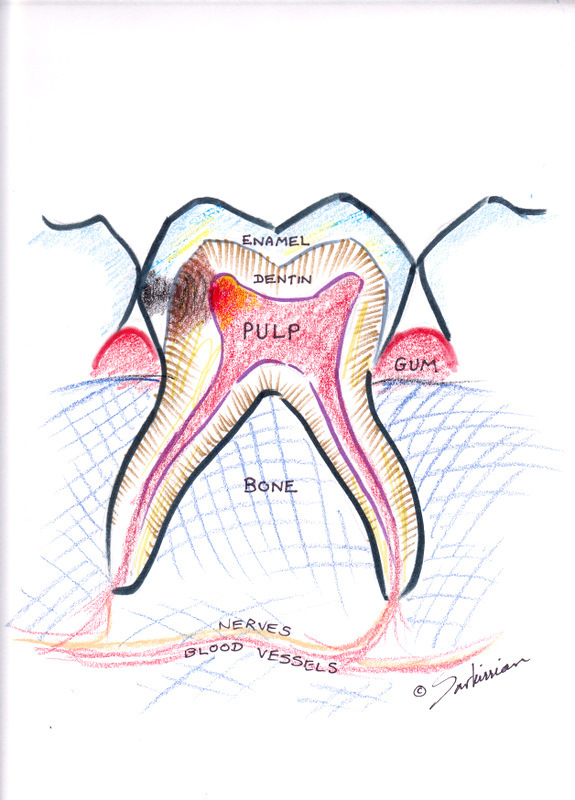 The true extent of the cavity at this stage is usually three times as large as what it appears to be from the outside. The following graphics by Dr. Sarkissian show this development and the treatment of this condition. 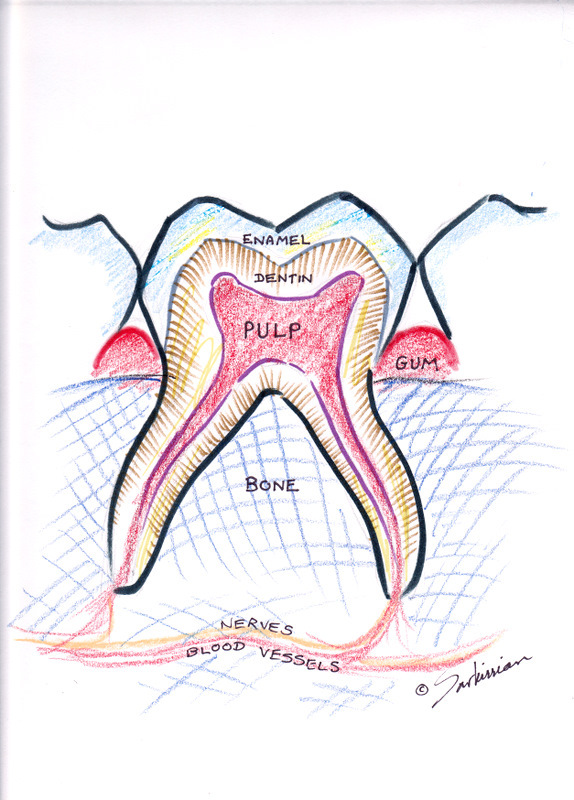 A permanent tooth would require a root canal treatment at this stage, but for a primary tooth a laser pulpotomy is indicated which keeps the tooth alive. 1. A healthy baby tooth (primary molar). 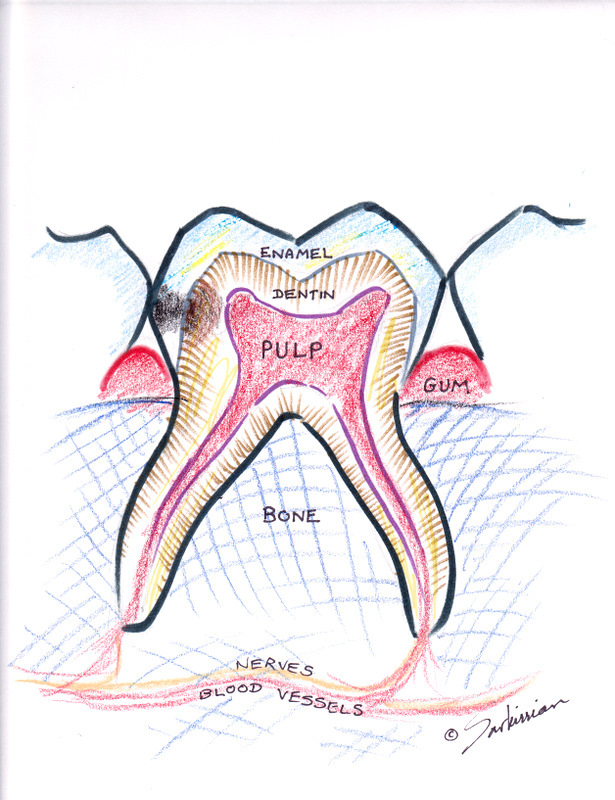 The nerve (pulp) makes up a significant portion of its interior. 2. 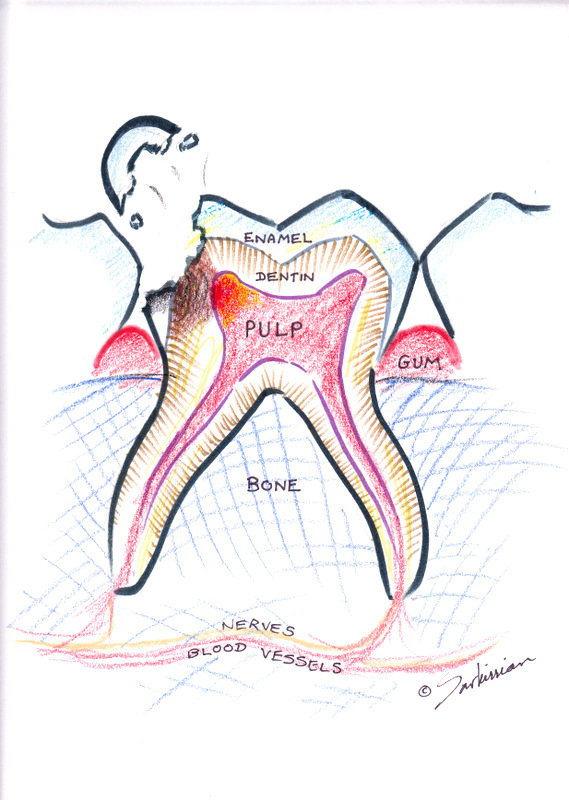 A true cavity arises when the outer enamel shell of the tooth is penetrated and bacteria invade the interior dentin layer of the tooth. 3. The cavity spreads at a rapid rate. 4. The bacteria have approached the pulp and start causing mild inflammation. 5. 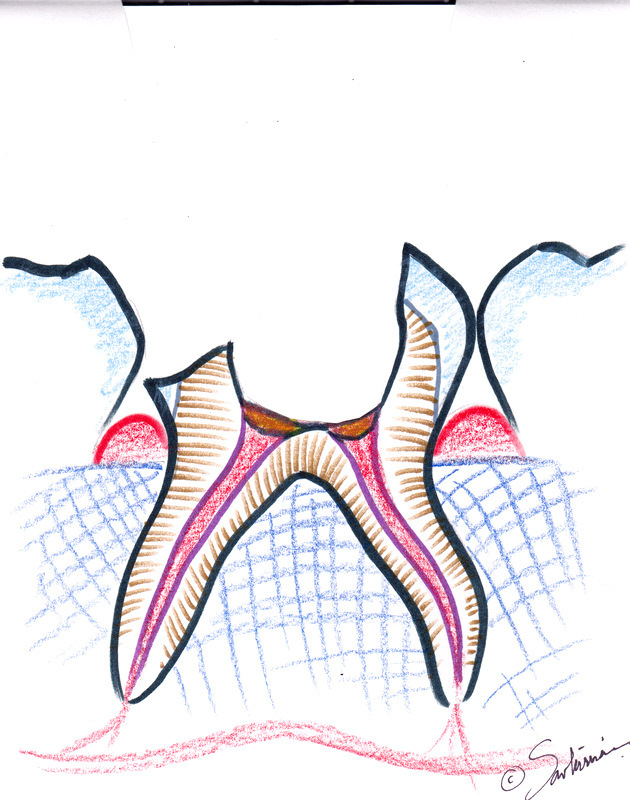 Due to softening of the befallen dentin, the outer shell crumbles and exposes the cavity. This is when most parents realize that their child has a cavity. 6. Laser Pulpotomy treatment is initiated. The cavity is excavated with an electric drill. 7. 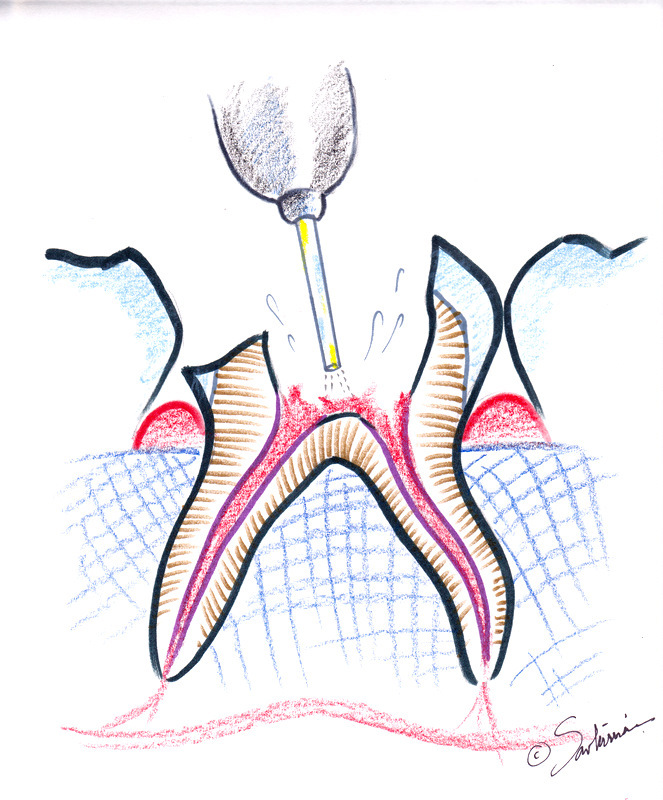 The Waterlase is used to remove, or amputate, the pulp from the chamber. There is no mechanical trauma, heat, or contamination. Hydrokinetic energy is used to break up the tissue without the tearing, crushing and smearing associated with the drill. 8. After mild irrigation with hydrogen peroxide and after bleeding has stopped, MTA (Mineral Trioxide Aggregate) is used to cover and seal the exposed nerves leading into the canals. 9. 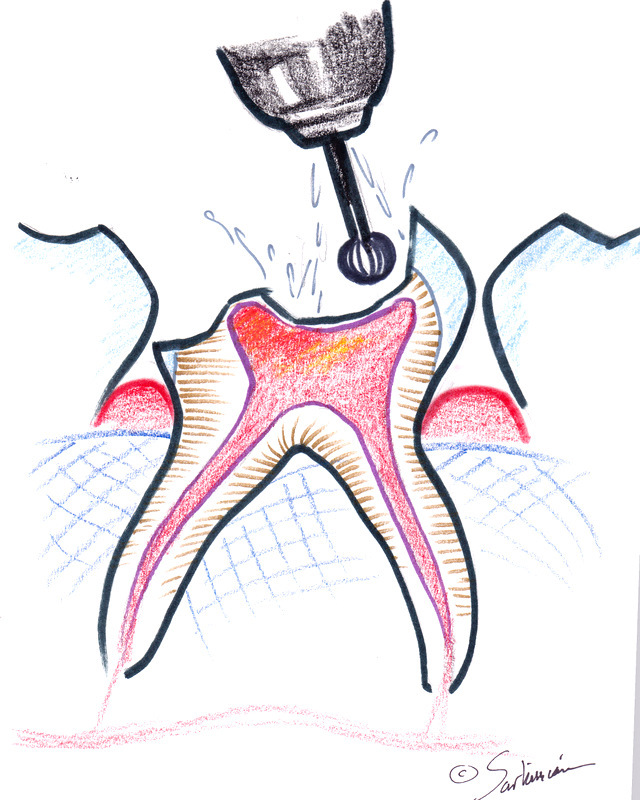 A glass ionomer cement is used to cover the MTA to allow for undisturbed setting and to prevent its contamination during the multiple bonding steps. 10. 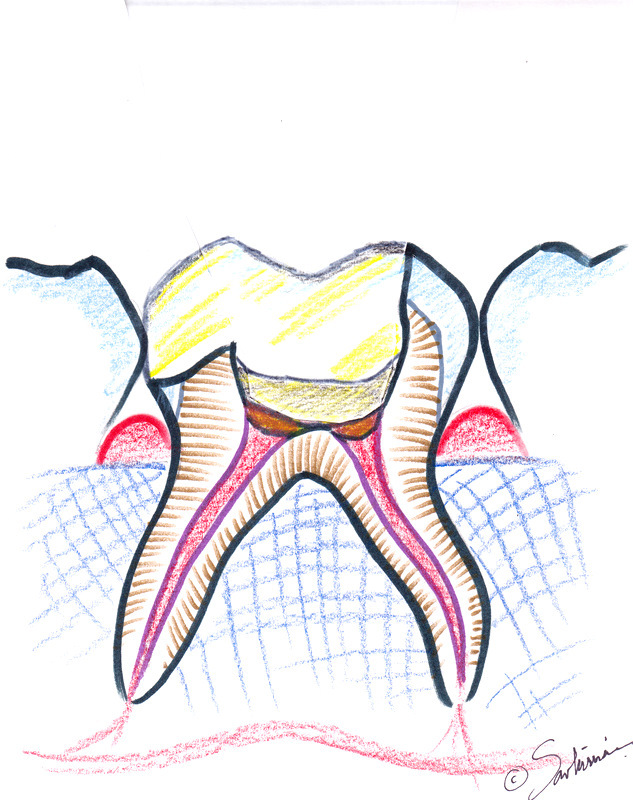 The tooth is bonded with resin composite employing the latest techniques in adhesive dentistry. You can read the article about a real-world pulpotomy to see this procedure performed on a child’s primary molar. 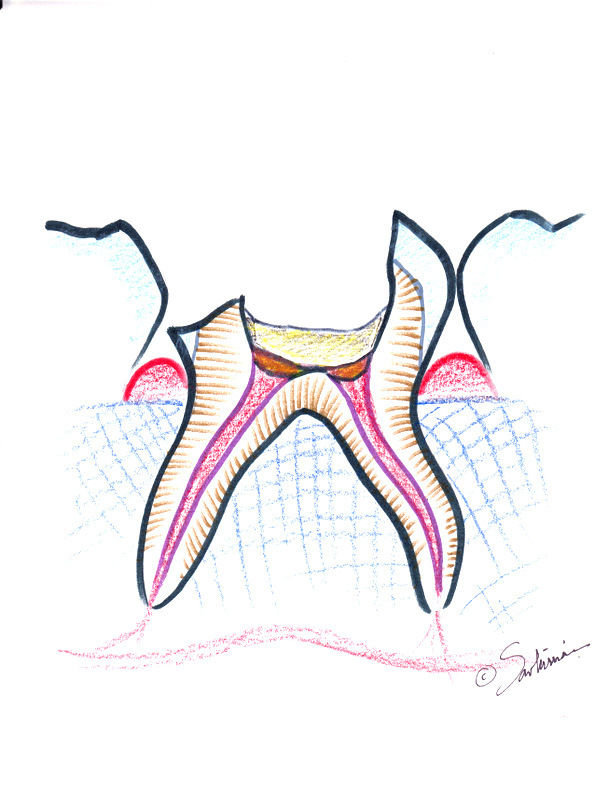 This entry was posted in Child Dentistry, Laser, Pulpotomy, Repair, Root Canal by Admin. Bookmark the permalink.